With financial challenges continuing to plague parts of Europe the Eurozone economy is expected to shrink again in 2013. Economist predict a 0.3% decline. This is the second recession faced by the area since 2009. This is contrary to the initial predictions that their economy would be recovering and moving in a positive direction this year. Many experts blame the job market, tight lending environment, and the housing market for the continued decline. For those living in parts of the Eurozone these statements seem to severely underplay the overall economic challenges being faced by its citizens. The declining economy and bad job market is leading to social unrest in addition to financial problems. On February 17th protesters took to the streets in 35 Bulgarian countries to protest high utility prices. This was one of many protest throughout the country that have lasted for over ten days. Citizens were protesting high prices and lower living standards. These protest culminated in Prime Minister Boiko Borisov issuing a formal resignation of his government. Now the future remains unclear for Bulgaria. While only one country inside the Eurozone these recent events point to a clear unrest in the area, making investments into the EU fraught with additional risk. It is not simply the recession that investors have to worry about. These types of protest are becoming more common as the overall public is dissatisfied with the conditions. Protest, and changes that take place because of them, can directly impact jobs, transportation, logistics and operations within a company. While Western European countries like Germany try to prop up other countries within the zone investors have to question how long that can continue. As an investor it is important to evaluate the risk associated with investing in companies located within the Eurozone. With political unrest there could be changes taking place that would directly impact a companies profitability, or even ability to compete. By contrast the US economy is expected to continue to grow at a rate of 2% to 2.5% per quarter throughout 2013, making it ripe for investing. The infrastructure in the US is stable, there are no foreseeable mass protest on the horizon, and the economy is showing solid signs of rebounding. The housing market grew at the fastest rate since 2006 as median home prices in December of 2012 were 11.5% higher than December of 2011. Now is the time for investors to direct funds into the US economy and benefit from growth that is taking place and on the horizon. Investors acting now have the opportunity to negotiate terms with businesses that are highly in their favor, while waiting for further growth could lead to negotiations trending in favor of the current business ownership group. 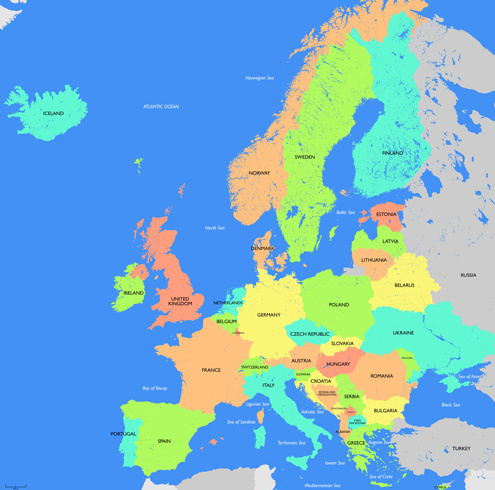 Investors that are investing funds in the European market should evaluate their portfolio and determine whether they are confident in its ability to ride out the political unrest in Europe. If not, redirecting funds into US businesses may be a safer and more prosperous alternative. According to the SEC’s proposed crowdfunding legislation a company will be able to simultaneously issue a private offering and a crowdfunding campaign. This will increase a companies opportunities for raising capital, and provide qualify investment vehicles for non-accredited investors. In other words accredited investors can participate in your private offering, at higher investment amounts, and non-accredited investors can participate through a crowdfunding portal that limits their overall investment. The goal of the ruling is to ensure that everyone has access, while limiting the investment risk for non-accredited investors that may not be able to sustain the loss. The SEC analyzed the current market and determined that crowdfunding portals and broker dealers would benefit the most by working together. This increases access to investors for both parties and benefits the company overall. Interestingly enough only 13% of all new Reg D offerings from 2009 to 2012 used a broker dealer. Apparently many companies prefer to go it on their own or with local counsel. You will save time, and be in compliance, by creating one comprehensive set of disclosures that can be used in your private offering and crowdfunding campaign. While there may be some changes, creating a core set of documents that is reviewed by a Securities Attorney is smart. We recommend that you create disclosures as if you are offering the investment opportunity to a non-accredited investor. While this is additional paperwork it will protect you down the road in the event that a non-accredited investor is accidentally allowed into your private offering. While we can all say that this never happens – it does. The SEC does not require audited financial statements for Reg D offerings. However, it is important to note that the SEC will fine companies and issuers that make what they feel are misleading statements or representations. Hiring a CPA to audit your financial statements removes some of the risk from the issuer. If you provide accurate information to the auditor it is their responsibility to certify them which can protect the issuer in the event that the opportunity does not produce the level of return that was anticipated. If you are going to run a crowdfunding campaign and issue a private offering simultaneously it is recommended that you use Rule 506c. This lifts the ban on general solicitation. One of the requirements is that the SEC has to review your advertising and marketing material prior to it being issued. Since crowdfunding campaigns rely on marketing efforts submit those materials to the SEC for review as well and ensure that you are in overall compliance. It is better to have the SEC comment and make changes, than to be fined after the fact. It will also prevent some confusion. For example if you are using Rule 504, which bans advertisement, while running a crowdfunding campaign, you would technically not be allowed to discuss your private offering in public forums. It would be extremely confusing to separate the two so make it easier by using Rule 506c. The approval of General Solicitation will be the topic of choice for most of 2013. With the Securities and Exchange Commission (SEC) apparently lifting the ban general solicitation, or advertising in lay man’s terms, there is a sense that the investment market may have gotten a windfall. Creating an environment where serial entrepreneurs can go back and capture many different types of investors to raise their companies up, create jobs, and generally have all around success. At least that is how the JOBS act passed by Congress appeared to be positioned. However, many are now calling the move by the SEC, and indeed Congress itself, nothing more than a Trojan horse. One of the best ways the SEC has achieved this is by failing to, anywhere, define what exactly a general solicitation is. Another, implemented by the specific demand of Congress in passing the JOBS act, is that all investors need to be accredited. These two requirements when combined together create a one way ticket to a very sticky place, one that most investors want to avoid and certainly all start-ups would like to stay as far away from as possible. The place where investors have to turn over sensitive documents to verify their investment status, and where startups are unable to seek investment without taking “due precautions” to verify that the investors they are soliciting are indeed accredited. When viewed as part of the general solicitation rule, this includes things like social media where a simple tweet about the company’s offerings could result in hopping on the train to a verification nightmare. There can be, and is, little doubt that investor are not about to turn over bank account statements, W2’s, credit reports, or brokerage statements to the companies they want to invest in. The more the hassle, the less likely it is that an investor will, in fact, invest. And with the doing away of a simple “agree by signature” the complications continue to grow. Companies are now required to conduct a level of due diligence to ensure that their investors are, in fact, accredited, taking away from the time and effort needed to grow a small company that is seeking investment in the first place. Or companies can simply avoid general solicitation and go on with business as usual. The irony in this structuring is that the old methods of raising investment are also now under intense scrutiny by companies as well as by investors. The forums where investors could come, see presentations, and potentially invest in the next Facebook are now asking the question, and having to answer it, does the forum constitute a general solicitation. If the answer is yes then all the rules, and full force of Rule 506 (C) comes into effect. As a result, event sponsors and angel groups are being forced to change their operations to include having investors and attendees sign affirmations attesting to their status as accredited investors. In essence, the whole idea of a large solicitation due to an increased audience potential has effectively, and very neatly one might add, been removed. It would be remiss to say that there are not some success stories out there. Angel list, a popular online platform, announces on its home page that it has helped thousands of investors to take advantage of Rule 506 (c), and successfully raise funds. While their verification process or that of their entrepreneurs could fall under scrutiny, it is for now a working model. Long term, the old models of public pitch events and angel groups success is going to depend on their ability to modify the environments in which they operate. Only if companies are able to ease the issues of privacy, something not easily done in today’s climate following the revelations of the NSA spying on American citizens, will investors find a level of comfort in sharing documents attesting to their accredited status. The easing for regulations on general solicitation will continue to raise the heart burn of companies raising money, and the investors who want to make the JOBS act work as planned, until investor privacy can be secured. With the final changes on Rule 506 being issued, opportunities have been created for those looking to capitalize on them. As with any change there is a first mover advantage for companies and individuals that move quickly. The SEC lifted the advertising ban on general solicitations pursuant to Rule 506 of Reg D. While lifting the ban they did make one thing clear – Accredited Investors are the only ones able to participate in the private offering. Advertisements need to make this disclosure and firms need to verify the accreditation status of each investor. In order for an investment firm to realize the most benefit from the advertising ban being lifted, they need to have an aggressive online strategy. People use the internet to search for information on a daily basis. Most will use it to research a concept or idea prior to making a decision. Traditional investment firms and broker dealers have had to stay clear from advertising too much online or becoming an open knowledge center, simply for risk of violating Reg D. This puts them at a clear disadvantage in the online space. It has, however, created a unique opportunity for funding portals. Online sites that provide information to Accredited Investors, facilitate deal flow, and connect investors with broker dealers and investment firms have the most to benefit. By being able to directly advertise private offerings, these portals can negotiate contracts and partnerships with investment firms. Funding portals, that already have an online presence, can increase their efforts by providing additional information on individual investment opportunities. They can put up blogs pertaining to specific industries, legislation changes, and more. The more people that visit a funding portal, the more benefit to a broker dealer or investment firm. Google AdWords. A targeted AdWords campaign can draw people to the portal that are interested in investing in certain industries. Social Media. Facebook, Twitter, Pinterest and more can be used to spread the word about the latest and greatest investment opportunities. Affiliate Programs. Bloggers and webmasters can advertise and promote portals through carefully placed ads and content on their site. Email Campaigns. Companies can use an existing email database to send information on individual investment opportunities. The challenge with mass advertising is the ability to get in front of the demographic that can invest with you. According to the SEC changes only Accredited Investors may invest in private offerings issued under Rule 506. This means that many people will be exposed, but unable to participate, in your offerings. A lead list of Accredited Investors is still a good start to any marketing campaign as you can contact them via the phone, ask for their email and address, then build your own advertising database. For now we will wait to see what partnerships are established between funding portals and investment firms. Several broker dealers and investment companies will rise to the top, taking advantage of the new changes to Rule 506. The only question is, which ones? For many companies, looking for investments to grow their businesses, there was a sense that this day would never come. 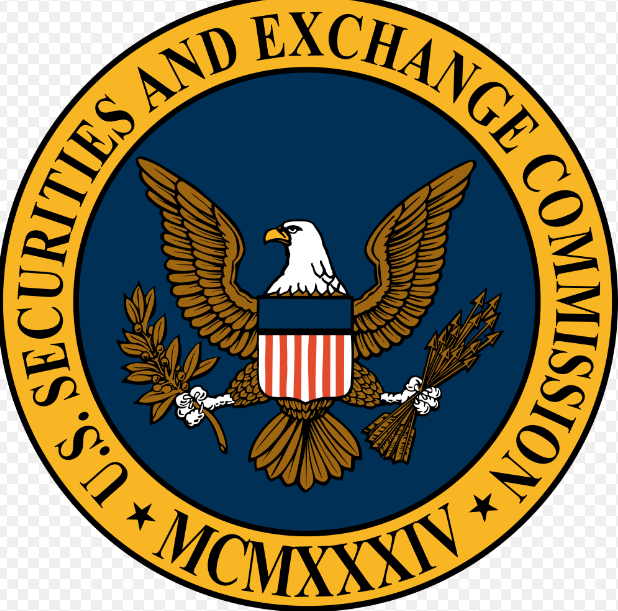 The Securities Exchange Commission (“SEC”) concluded its process today and issued a final ruling eliminating the prohibitions on general solicitations, advertising Regulation D offerings to the general public. The final SEC changes to rule 506 have two major changes which impact the industry, the first more so than the second. Provision number one is in accordance with the Jumpstart Our Business Startups Act (“JOBS Act”) which effectively eliminates the ban on advertising of private offerings claiming a registration exemption under Regulation D. There are provisions, however. The most serious provision is that the purchasers of securities are still required to be accredited investors. The second rule change is in accordance with the Dodd-Frank Wall Street Reform and Consumer Protection Act (“Dodd-Frank Act”) which amends Rules 501 and 506 to prohibit felons and other “bad actors” from participating in Regulation D offerings. Our main focus for today is on the first rule, allowing general solicitation. Reviewing the tax records of the individual for the two most recent years and obtaining written representation that the individual believes that they will reach the necessary income levels to qualify in the current year. Reviewing third-party documentation from the prior three months such as bank and brokerage statements, tax assessments, appraisal reports, and credit reports that identify the potential purchaser’s net worth, including assets and liabilities, together with a written representation from the individual that all liabilities necessary to make a determination of net worth have been disclosed. Regarding an existing investor who qualified as an accredited investor prior to the effective date of the new rule 506(c), obtaining a certification by the investor at the time of sale that he or she qualifies as an accredited investor. The SEC has made it clear in the ruling that it does not consider the checking of a box on a questionnaire or a signed form, in the absence of other information, to be sufficient diligence in meeting the “reasonable” threshold. It is extremely important for companies and investment representatives to understand that by lifting the advertising ban on Rule 506 the SEC has effectively placed additional controls on the process. While general solicitation does open the door to acquiring additional investors, it is coming with a price. The seemingly archaic rules of the SEC are often a source of mystery and frustration for companies, especially companies that are trying to get off the ground by raising money. Until now, claiming an exemption under Reg D caused a company to be subjected to sever limitations, most specifically when it comes to the general solicitation or advertising a private placement. For the past 80 years companies that claimed exemption to the registration regulations under Rule 506 were prohibited from advertising their offering through mass media including newspapers or on the internet. Additionally they were limited in the number of non-accredited investors they could accept. Much of that is changing, thanks to the Jumpstart Our Business Startups Act passed by Congress in Aprils 2012. The Act, specifically adopted by Congress with the intent of limiting the regulatory red tape and removing some of the hoops, instructed the SEC to do away with the prohibition on advertising private placements. The hope being that by making it easier to advertise an offering, more small business will be successful in raising money, thereby greatly increasing their chances of success. This would help to enhance the already growing, albeit slowly, economy with the creation of jobs. The SEC has and continues to adopt changes that are going to be important for businesses to be aware of in the coming months, in line with this Act of Congress. Under the new rule proposed, the issuer would be required to file an advance notice of the offering 15 days before making it publicly available, and again at the conclusion of the offering. This changes the current regulations, which requires the issuer to file a Form D, no later than 15 days after the first sale of securities in the offering. The issuer would be further required to update the information contained in form D within 30 calendar days of the conclusion of the offer and also indicate that the offer had ended. The new proposal would require the issuer to provide additional information above and beyond the current identification requirements on form D. The will include the issuer’s website, more detailed information on the issuer, the offered securities, the types of investors participating in the offering, the use of the funds, information on the types of general solicitation (advertising) used, and the methods used to verify the accreditation status of the investors. New rules would require the issuer to include cautionary statements and legends in any written advertising (general solicitation) materials. The legends are intended to serve as information to potential investors that the offering is for accredited investors only, while also being required to seek public comment. Because of these and other requirements, the SEC is making it a requirement under the new proposal that all advertising be submitted to the commission via an intake page on the SEC’s website for the first two years of the new rules. Current guidelines about misleading statements with regard to private placement would also extend to all sales literature for the purpose of Federal law. Any issuer who fails to file form D would be out of compliance and be disqualified from using the exemption under Reg D.
The proposed changes and new regulations are currently in the SEC’s 60 day phase where they are open to public comment. Overall the JOBS act and this new regulatory environment will be very helpful to businesses that need investment dollars. Just make sure to abide by the new regulations that accompany the changes allowing you to advertise. Not following them could cause you to be disqualified from using the Reg D exemption. We hope this article was helpful in understanding the changes to rule 506 and what it means for your private placement. In a 4-1 vote the SEC implemented a portion of the JOBS Act by enabling companies to advertise their Reg D Rule 506 private offerings. This opens up the door for private companies, brokers, and hedge fund managers to advertise to the general public. This event has many companies excited as it creates an opportunity to reach a larger number of investors. The caveat is that the investors still need to be Accredited Investors. General advertisements will expose everyone to investment opportunities that they may not be qualified to participate in. Financial advisors can expect to receive calls from curious clients, interested in learning more about the advertisements they see. Many of the larger firms will not allow for advisors to advocate for investments in these private offerings, requiring them to be vetted first. This creates opportunity for independent advisors, specializing in business valuations and early stage companies, to capture market share from eager investors. Advisors, both independent and at large firms, will have to evaluate each opportunity to determine whether or not their client is qualified to participate. This may create challenges as non-accredited investors are unable to participate in private offerings they encounter. Regulators fear that non-accredited investors will see these advertisements, contact the company directly, and participate in fraudulent offerings. With any legitimate investment opportunity there will be fraudsters that come along looking to replicate it. There is no real way to stop fraud other than educating consumers. Companies offering legitimate investment opportunities may want to go above and beyond to provide educational material, advertise through SEC recommended channels, and make their disclosures transparent. Companies will also want to verify whether each investor is accredited in order to maintain its “safe harbor” status under Rule 506. It is often easier to avoid advertising to the general public and target accredited investors specifically. A better way to advertise to Accredited Investors is to buy a lead list and reach them directly over the phone or via mail. Companies and hedge funds, with private offerings, will do best by allocating their marketing dollars to reach investors that are qualified to participate in their offerings. According to 2009 data from the IRS only 3% of Americans made over $200,000 per year, the income level required to be considered “accredited”. With so few people reaching this income level, general advertisements will likely be wasted marketing dollars. This creates a new challenge for companies and hedge funds looking to capitalize on the lifting of the advertising ban. Each company will need to do significant research to determine the best way to reach accredited investors outside of their personal network. A benefit of the SEC ban on advertising being lifted is the ability to send a private placement memorandum to more people in your professional network. While these people may not be accredited they could review and recommend investors that are. People like CPA’s, lawyers, and bookkeepers may have clients looking to invest and be able to point you in the right direction. In the meantime companies should carefully consider their advertising options to ensure that they reach the right audience, rather than marketing to a general public that still can’t participate. This is fantastic news for companies looking to raise capital. After 80 years the SEC has finally lifted the ban on publicizing shares in private placement. This ban has made it extremely difficult for people without a black book to raise money. Companies and their representatives have had to rely on verbal communication only, as any advertising could lead to a violation of Reg D. Now after almost a century the SEC has finally lifted the ban in a 4-1 vote. The new rule will take effect 60 days after the SEC publishes it in the Federal Register. The SEC lifted the ban in response to pressure from Congress. When Congress passed the JOBS Act they asked the SEC to lift this ban as well. The lack of being able to advertise caused most investors to miss the opportunity to invest in a private placement, simply because they wouldn’t hear about it until it was closed and had been announced. Now companies will be able to more broadly advertise. They still need to note that the offering is for Accredited Investors. Now a private placement memorandum can be advertised on YouTube, Facebook, Twitter, and other forms of social media along with Press Releases and a company website. Companies should still exercise caution in their advertisements to make sure they do not violate anything in Reg D, Rule 505, or Rule 506 and risk blowing their “safe harbor” protections under the Act. It is recommended that all advertisements be ran by an attorney to ensure they do not open a company up for unexpected risk. It is also rumored that the SEC will consider it a “best practice” to advertise on Dealbreaker. While this has not been an official request, following an SEC best practice is always a good idea. 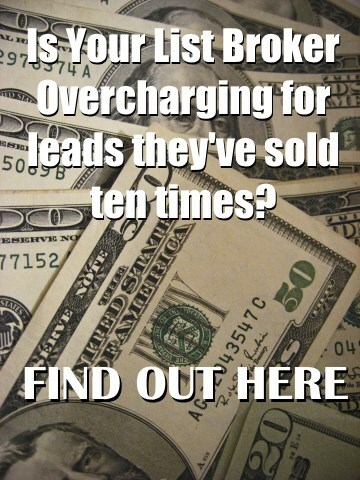 Companies can contact Dealbreaker and purchase ad space on their site. The private offering market, through Reg D, is $900 billion per year! This is $857 billion more than the money raised through initial public offerings. With companies using private placement memorandums to raise billions of dollars investors have been eager to participate. By lifting this ban the less “connected” investors will have access to invest in private offerings early on. This new ruling will indeed be beneficial for both companies and investors, with time telling how much additional capital is raised through the advertisement of private offerings. Three New Jersey men were busted last month for selling fake Facebook shares. Prior to Facebook going public last year they had a limited private placement. Very few people were able to invest in this highly sought after PPM. Scammers jumped in with both feet and people started claiming they could arrange, and did invest in the private placement. One of them was former Oregon GOP Chairman Craig Berkman, who was arrested in March for securities fraud as investors were lured in with promises of Facebook stock. The latest arrest were on the East Coast last month as Eliyahu Weinstein, Alex Schleider, and Aaron Muschel were charged with stealing $6.7 million from an investor after claiming special access to Facebook shares (prior to the public offering). This is not their first brush with the law. Weinstein had a 45 count indictment returned against him in 20011 for operating a Ponzi scheme from 2004 – 2011. That scheme cost investors approximately $200 million. U.S. Attorney Fishman said, “Shamelessly, Eliyahu Weinstein allegedly committed these crimes while under federal indictment for another investment scheme, even using stolen money to pay his legal fees. Today’s arrest should put an end to his brazen conduct.” Talk about embarrassing. The plot thickens when you look at the entire picture. Weinstein was working with an overseas investor from New Zealand, using offshore bank accounts, and getting funds for a Brooklyn Synagogue that was paying the life insurance premiums for members that named them as the beneficiary. The complaint state that while there were no Facebook shares Weinstein used the funds to get his house out of foreclosure, pay his other legal fees, send his kids to religious school, help the synagogue, and invest in African gold. His other scams have included a real estate scheme where he raised money for properties he never actually owned. That scam ranged from New Jersey, Florida, California and Israel. I guess the real question is what was this guy not into? Weinstein faces 25 years in prison for the Ponzi scheme and now is facing another 30. The big warning to investors is that Weinstein is not the only scammer out there. When someone promises to deliver something no one else has access to you better do your research. After all why would some guy from New Jersey get access to pre IPO Facebook shares when Silicon Valley was foaming at the mouth to get in? If it looks too good to be true it probably is. In the meantime Weinstein has stolen hundreds of millions from unsuspecting investors. The SEC issued its recommendations for avoiding fraud when investors are investing through social media. With various schemes going through the internet investors should take care when reviewing investment proposals found through social media sites. Many consumers are also using social media for information on particular investments reviewing comments made on LinkedIn, Facebook, Twitter and more for tips, evaluations, and ideas. The challenge is that there is no way to prove where this information came from or how accurate, or inaccurate, it may be. The key for investors is to evaluate information they receive, regardless of how great it looks on social media. Verify the information through additional sources prior to viewing it as fact in avoiding fraud. Verify the Source. Research the person that is posting the information. What credentials do they have for providing investment analysis or advice? If you can’t locate information on them anywhere other than the social media sites this should be a red flag. Be an Educated Investor. Learn everything you can about the industry you are investing in. What are typical profit margins, investor returns, and strategic positioning that makes an investment good or bad? Unsolicited Offers. If someone you don’t know sends you a private message, posts on your wall, or sends a tweet mentioning you “exercise extreme caution”. Find out who this person is. Research them prior to responding. If people have mentioned them as a potential fraudster block them from viewing your profile. Report Suspicious Activity. The SEC Complaint Center will take reports of suspicious activity and investigate it. If all investors filed reports more people would be saved from becoming a victim of a scam. Too Good to Be True. If something is too good to be true – it probably is. Industry standards hold steady because there are certain facts that do not change, regardless of the company. For example a medical drug has to go through FDA trials. There is no way around it. If someone is offering for you to invest in something that can skip these trials and go straight to market… this is a red flag. This is one way in avoiding fraud. The same holds true for all industries and that is why it pays to be an educated investor. Guaranteed Returns. Investments are risky which is why the reward can be so great. Simultaneously there is no way to guarantee returns. Be suspicious of anyone that offers this to you. Privacy Settings. Set your social media profiles to private so that only people you know have access to your personal information. You can also determine what information the site itself shares with its partners. Investors should use caution when making any investment. The more informed you are the better decisions you will be able to make. Rather than taking people’s word for the outlined facts, learn about the industry and the company so that you can ask educated and informed questions prior to making investment decisions.